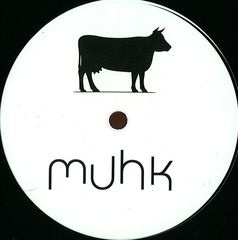 Located in Sweden and driven by exiled UK brain power, Muhk Music unveils the second release of the label. One would not easily give up a winning formula and therefore the second release comes from the same man across the sea. Morphology member Matti Turunen from Finland has applied his gear for a three-tracker swinging in the crossroads of the electronic music’s American heritage. The title track “Fall” is driven by ample Detroit-inspired chords and grooves for the peace of mind. Featuring the backing vocalist Dora Gray, “Fall” paraglides well above the ground with spacious and luminescent textures for joyous moments on the floor. Then „Kanuuna“ is a long-range cannon poised to target many DJ bags. Shooting out with fat bass willing to say work that MF, soon the tracky setup is complemented with fragile pads and glimmering stabs for a night-meets-the-day theme. Bright and spring-heralding mood prevails in “Agrikola“ rounding up another analog beauty from Turunen and Muhk.